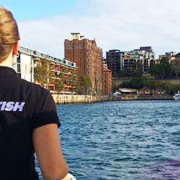 You are here: Home / Read Our Blog / Sydney Harbour / Book Yourself a Rockfish Christmas Party! Are you organising this year’s christmas party? 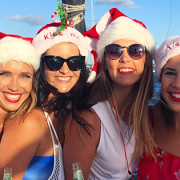 You might still be preparing for Christmas in July but, here at Rockfish, we’ve started taking bookings for Christmas parties already (for December)! There’s some super organised people this year … and some very lucky employees! You and your colleagues are getting ready for Christmas, things are winding down, or maybe they have got a bit crazy but, either way, you know that you’re about to get a nice break with family and friends when the Festive period starts, even if it’s just for a few well-needed days. It’s the day of your Christmas Party. Last year’s was really fun and it’s a tough act to follow, so thinking outside the box was a must for this year’s! You could go for a really nice team meal, have an awesome party in a trendy bar somewhere, you could even go and do laser tag or such like. 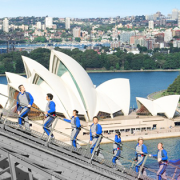 You could take it to the next level and take your colleagues out for a fun-filled Sydney Harbour cruise on your exclusively hired catamaran (that’s right – your own private boat!) 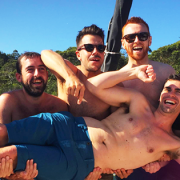 – sunshine, swimming, snags, schooners and shenanigans. You can have all of that and more when you book a Rockfish charter! We have speakers on board for music, catering packages available and multiple start times – morning, afternoon or evening, so you can fit it in to everyone’s schedule. 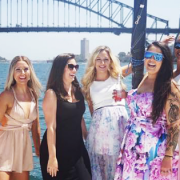 We’ll take you to the best spots on the Harbour, where you and your team can party in the way that works best for you! 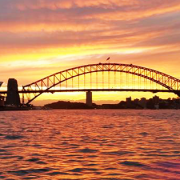 Chill on the nets on the bow, dance on the rooftop, cool off with a swim … you get the idea! We have a new addition to the Rockfish fleet! Which means double the fun!! We have our original Rockfish catamaran which holds up to 30 people and we now have Rockfish II, which holds up to 20 people on board. If you have a larger group – why not hire out the two, they’re the same price per head per hour! (Prices start from $15 per person, per hour). If you’re keen to get involved and become the office hero, let us know what dates you’re looking at here. Not convinced yet? Get in touch anyway! We’ll answer any questions you might have and have a go at convincing you that a Christmas Party with Rockfish is an awesome idea! **Disclaimer** Santa is not included! 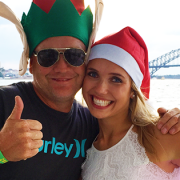 https://www.rockfish.com.au/wp-content/uploads/2015/07/Rockfish-Christmas-Party1.jpg 315 851 Rockfish https://www.rockfish.com.au/wp-content/uploads/2017/02/logo-compressed.png Rockfish2015-07-21 04:30:472018-05-01 18:03:25Book Yourself a Rockfish Christmas Party!